Pelorus was in Denmark earlier this year, after having spent several months at Blohm + Voss&apos; facility in Germany for some maintenance work. While we don&apos;t have details on what was done, we do know about one cool feature she has: a dedicated elevator for taking guests up to the helipad. 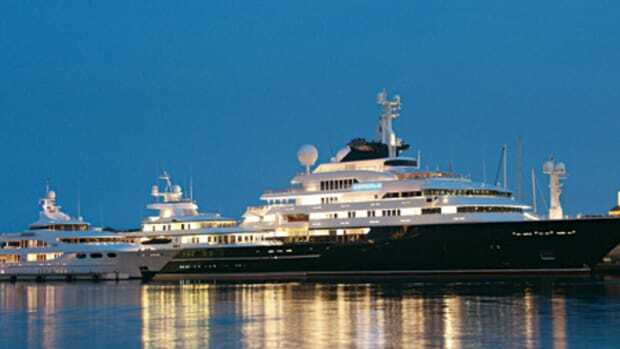 She then went on to visit Stockholm (an increasingly popular Swedish spot for superyachts) and St. Petersburg, Russia. 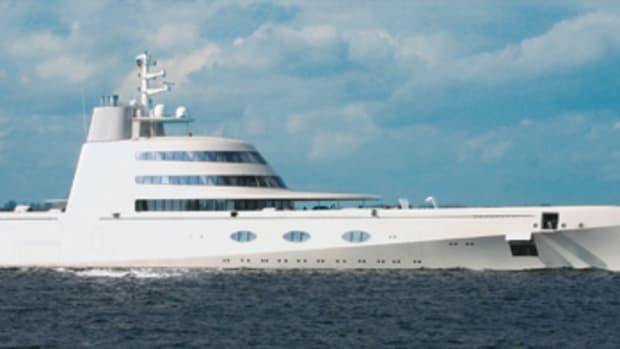 She raises a stir wherever she goes, partly due to her sleek lines and vanilla-tone hull, but mostly because her owner is Roman Abramovich, the Russian billionaire who owns a popular "football club" (that&apos;s "soccer team" to us Yanks).